hd00:14Little beautiful girl sitting on rocky shore of Mediterranean Sea. 4k00:20Incredible view of the most beutiful natural rock coast in Algarve, Portugal. 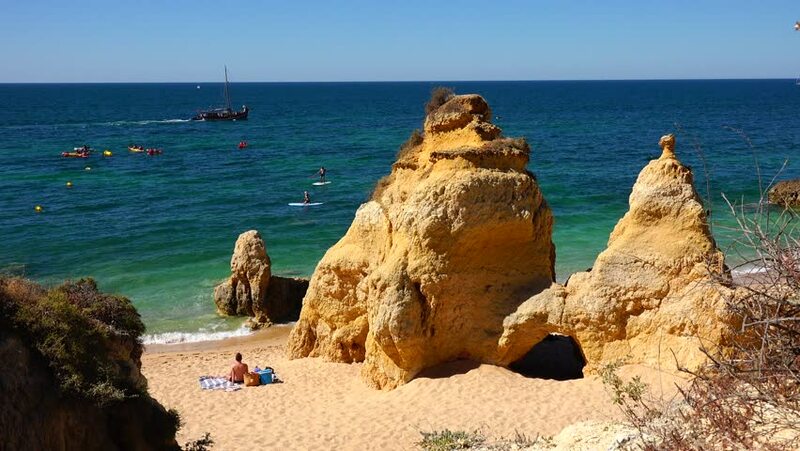 Beautiful landscape of Atlantic ocean coast with cave and rocks in Lagos, Portugal. hd00:13Romantic beach with solitary woman sitting on a rock.